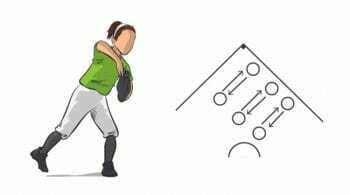 Group your players into pairs based on similar throwing/catching abilities. 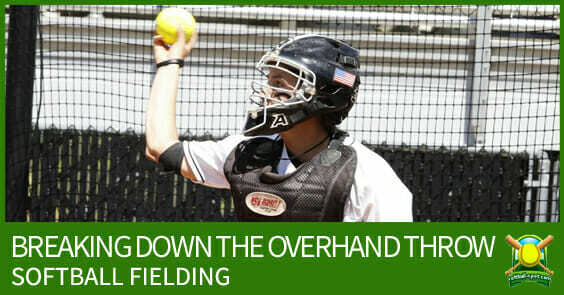 All players should have a glove, and one player in the pair should have a ball. Make two lines, with pairs facing each other about 15 feet apart (the distance can be adjusted based on age/ability of players). Set up a series of golf holes to practice throwing on different parts of the field. Assign each foursome to a different softball golf hole. To begin, all four players in each group stand at the tee box and take turns throwing toward the hole. 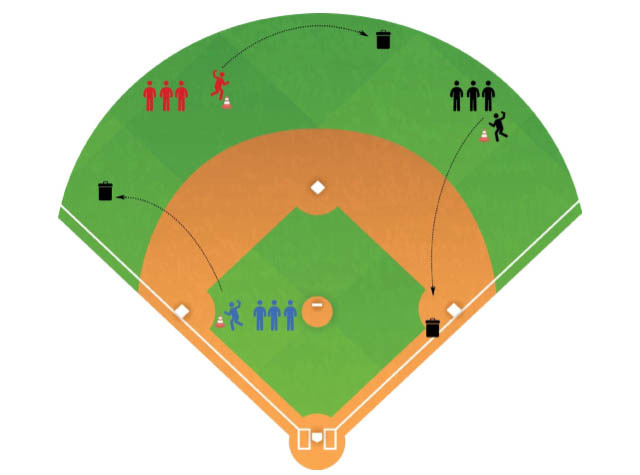 If they do not put the ball in the hole, they walk over to the ball position and continue throwing until they do. Play continues until all four players have each put their ball in the hole. The winner of each hole is whoever put their ball in the hole with the fewest number of throws. After one hole is finished, have the groups rotate to the next hole to begin again. 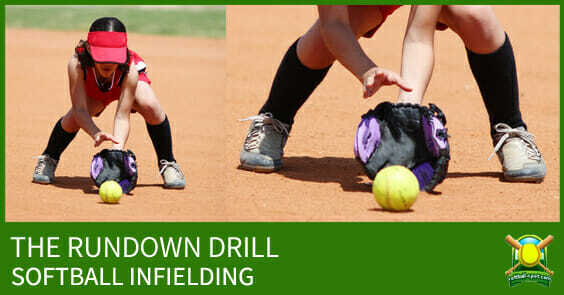 Encourage your players to use different types of throws to cover different stances. The first throw (or “tee” shot) should be a long throw. The shorter throws (closer to the hole) should be dart throws or underhand flips. Make it harder: Use cones to create penalty areas near the hole. If the ball lands inside, it’s a one throw penalty. Make it easier: Start with very simple holes that are reachable in one or two throws. Then progress to longer holes that require more throwing distance.